Visual Studio 2010 solution with the tutorial source code. Microsoft SQL Server 2008 database. Includes C# and VB projects. Visual Studio 2012 solution with the tutorial source code. Microsoft SQL Server 2012 database (LocalDB). Includes C# and VB projects. 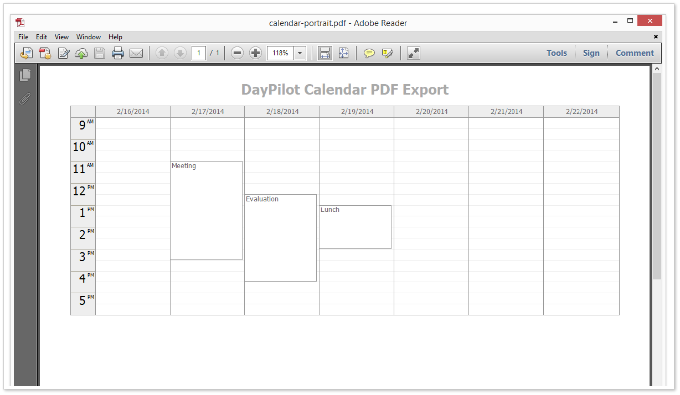 This tutorial shows how to export a weekly event calendar created using DayPilot event calendar to a PDF file. We will add a new DayPilot Calendar ASP.NET control to the page. 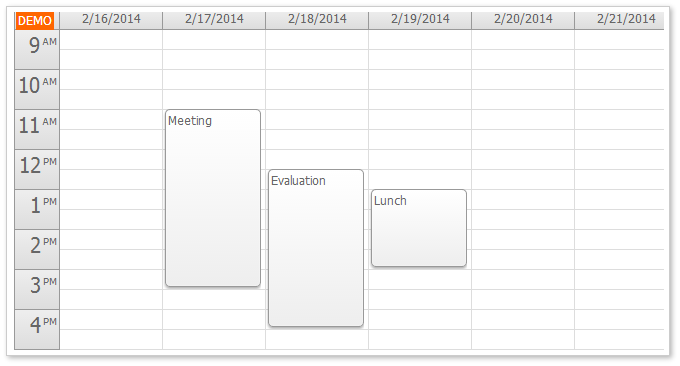 We will switch the event calendar to week view mode (ViewType="Week") and select the CSS theme (calendar_white). We will export the event calendar to an image first. <asp:Button runat="server" ID="ExportToPngButton" Text="Export to PNG"
The ExportToPng_Click event handler uses DayPilotCalendar.Export() method to export the current calendar view to PNG. The event calendar doesn't apply the CSS theme we defined for the browser view. We need to adjust the appearance of the exported image using individual style properties. We will use PDFSharp library for handling the PDF export. 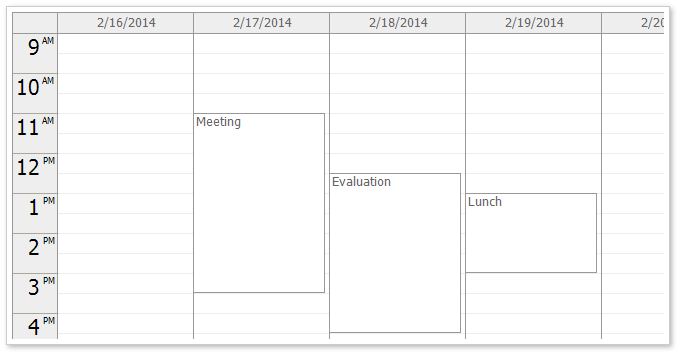 First, we will create an empty PDF document using PDFDocument class and save it to calendar.pdf file. doc.Info.Title = "DayPilot Calendar PDF Export"
Instead of saving the PDF document to a file using PdfDocument.Save() we will write it to Response.OutputStream. As it is not possible to write the PDF file directly to Response.OutputStream (Response.OutputStream doesn't support random access) we will use a temporary MemoryStream. Let's add the controls for specifying the PDF page size (letter or A4) and orientation (portrait, landscape). We have an empty PDF file so let's write a simple header to the page. 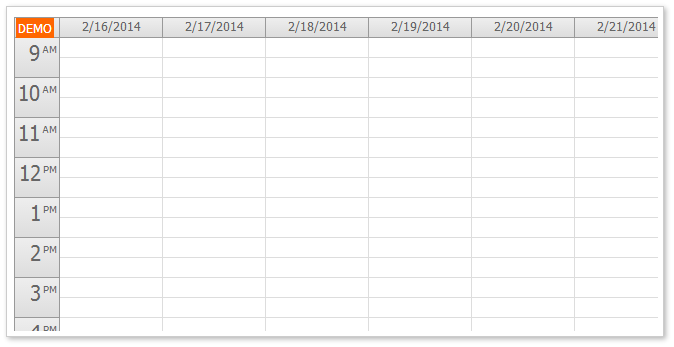 Now it's the time to add the image exported from the event calendar to the PDF page. GetPaddedRectForImage() method will calculate the target image dimensions and location. We want the image to fill the page and keep 10% padding.